Of all the restaurants in Navi Mumbai I have been to so far, I've been to Flavors Restaurant of Yogi Metropolitan at Sanpada the most. The only reason we keep going back is for the yummy fare and impeccable service. So just like another visit, my family and I visited for dinner. I was utterly relieved and glad to see the restaurant relatively empty in spite of it being a public holiday. 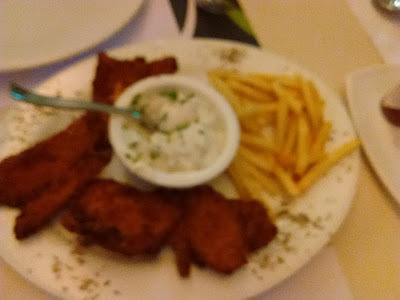 Fish and Chips - Batter-fried Basa fish with a side of french fried and dipping sauce. Both were nice and fresh. We dug right in into the main course. Sizzlers! 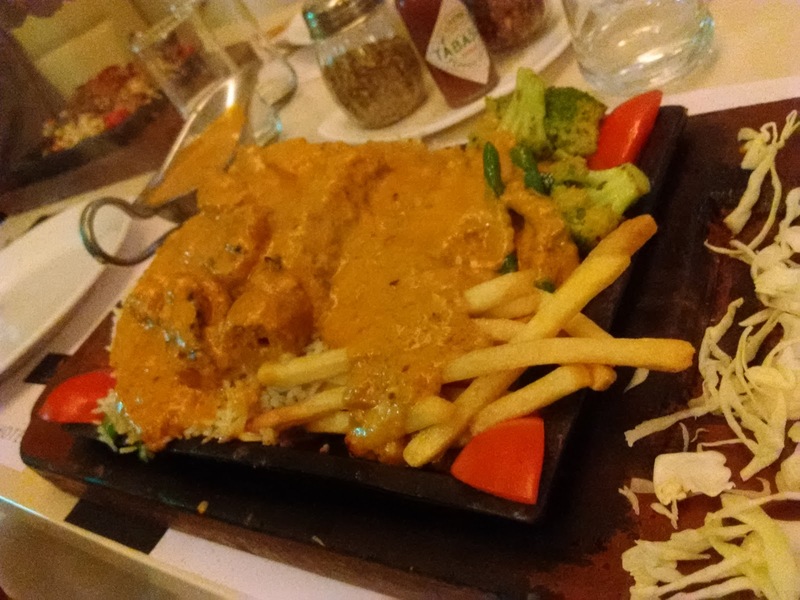 One was Chicken Shashlik Sizzler with rice. Rich makhani gravy was poured over two batter fried chicken breast pieces with a side of french fries and assortment of vegetables. 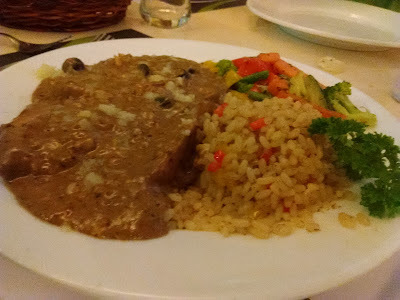 Another Sizzler we had was an Indo-Chinese one. It was Chicken Chilly with Hakka Noodles. 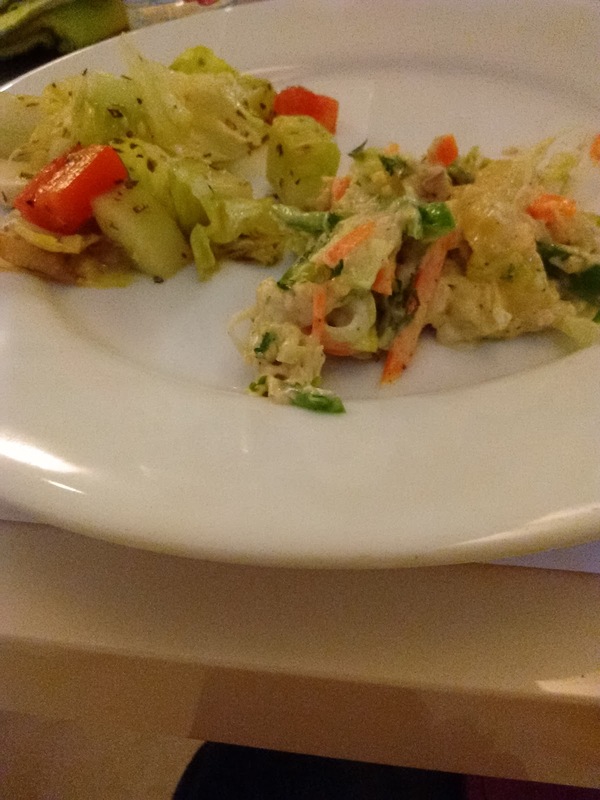 Cooked perfectly and tasted very nice. (Yeah. Just check the picture) Two breasts of chicken drenched in rich and creamy mushroom gravy with a side or arborio rice, mash potatoes and steamed veggies. We were just too full and struggled to finish these dishes with big portion sizes. So the five of us decided not to go for desserts this time. But you must try their Tiramisu. All these delicious and lip-smacking dishes was backed with a prompt and speedy service that made for a great experience. 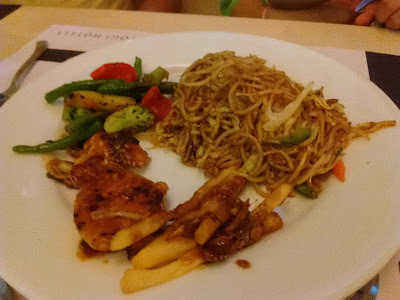 I recommend you try the food at Flavors at least once when in Navi Mumbai. Disclosure: This is NOT a sponsored review of the restaurant. The author has visited, tasted and paid for the meal herself.